Duration has an important role in any of the civilized society for its happiness, peace and prosperity. Without a proper education to one and all, we just cannot imagine a thriving Nation. As per one study, our country needs a force of around 7 million teachers at the elementary level for the year 2025 (as per the latest norm for teacher pupil ratio of 1:35). SAGAR EDUCATIONAL SOCIETY understands the urgent need of helping nation create a force of trained teachers who can improve the quality of education to make it effective, enjoyable and relevant to the masses. To contribute to this uphill task in its own humble way, it established Shri P. L. Memorial P. G. College, (SPLMPG) at Barabanki in 2004. Affiliated to Dr. Ram Manohar Lohia (Avadh) University, Faizabad & Approved by N. C. T. E., Jaipur, the College has proven itself to be one of the premium institute to impart B.Ed. & M.Ed. courses in the region as compared to other affiliated colleges. College started with B.Ed. Course (2004), B.B.A. (2008-09), M.Ed. (2009-10). It is situated at the 6th Milestone, from Barabanki on Faizabad Road, along with Sagar Institute of Technology and Management (SITM) in a lush green campus. The college has best of the qualified and experienced faculty Course Intake along with all the indispensable infrastructure of a premium institution, like well-stocked library, E.T. 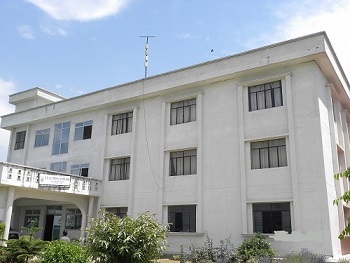 & ICT lab, language lab, computer labs, Psycho Lab and Art & Craft Centre. It has excellent sports facilities for outdoor & indoor games, separate hostel for boys & girls, medical facility and all other amenities like ATM, postage & courier, bus, cafeteria etc.